Whether you’re choosing machinery or materials, it is vital you feel confident about your decisions. The best way to do this is to see all the options together in one place. 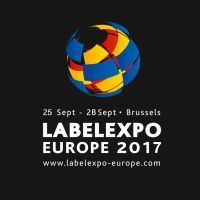 Come to Label Expo Europe 2017 and hear the noise of the machinery in operation, feel the texture of the substrates and see the print quality for yourself. Magazines, websites and brochures cannot compare. Experience it live and make a better choice. MoistTech Corp.™ will be holding live demonstrations on our IR3000 series sensor and controlling moisture & detecting coat-weight and thickness – stop by and see us!